The BigBelly Solar system is not just any old rubbish bin. It is the beginning of a smart, wireless and integrated system that can assist your business in saving more than just money. Imagine identifying extra resources that you could return to your business. Imagine reporting annual, year on year savings to your team. With a BigBelly Solar network all of this is possible. By installing a network of BigBelly Solar compactors we will help your waste management teams maximise their productivity by knowing exactly where and when they need to empty the bins in their network. Further to this, your team will need to service the network less often as our bins compact rubbish by up to 5 times that of a normal receptacle. The choice is clear. Our systems and processes ensure that you and your business receive the highest level of quality products and servicing, Australia wide. We work to the highest safety levels when onsite and are happy to complete all of your required inductions and safety measures before arriving on site. Working with our team means working with professionals. 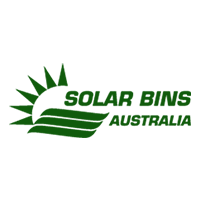 The team at Solar Bins Australia is able to work with your purchasing department to ensure we deliver you the latest generation Solar Bins to your locations, Australia wide. From urban environments to remote mining towns, our team is experienced in delivery, installation and servicing Australia wide. Talk to one of our team today for a free consultation and system quote.